There has been a lively exchange surrounding John Horgan’s article about skeptics, which I responded to previously. (See also Orac’s and Daniel Loxton’s responses.) At the core of Horgan’s piece is a logical fallacy so common, I feel it deserves special attention. In fact, PZ Myers wrote approvingly of Horgan’s fallacy, showing that it is still alive and well. In Horgan’s case, he would like us to end all war and bring about everlasting world peace before we tackle lesser problems like quackery, fraud, global warming, vaccine denial, the environment, and other such trivialities. The argument can seem compelling because it feels like a simple application of priorities. Priorities are important, and we do have to think carefully about how we expend our resources. Context, however, is important. First, are we talking about an individual or society? It is one thing to argue that, for example, our research funding should be proportional to the problems at which they are targeted. That does not mean, however, that every individual researcher should focus on the one most urgent problem. The fallacy also often amounts to a false choice. We can focus our efforts on more than one thing at a time. We don’t have to feed the poor before we have a space program, or end war before we try to educate the public about fraud and pseudoscience. Another major problem with this way of thinking is that it misses collateral benefits, which is tied to the fact that civilization is a complex web. Returning to the research priorities example, often basic science research is criticized because it does not have an obvious and immediate practical application. However, all scientific knowledge works together, and it is impossible to anticipate how one line of research might cross fertilize with another, or lead to unexpected applications. Finally, there is also an unstated major premise to the fallacy – that the only valid criterion to determine where one should focus their efforts is the relative importance of the problem or need they are addressing. There are, however, many other valid criteria. If relative importance is not the only valid criterion, then what are some others? To answer this question it is important to understand what skeptics and organized skepticism is generally about, and that is making the world a more rational and critically thinking place. Our primary goal is to educate ourselves, each other, and the public about science and critical thinking. We also oppose fraud and pseudoscience, especially their infiltration into important institutions. We advocate for regulations that support and protect the integrity of science and academia, and freedom of thought. Our goal is not to cure cancer, or fix every social problem afflicting the world. However, science and critical thinking are important tools, and there is no telling what downstream benefits might result from having more of both in the world. With these goals in mind, what criteria do skeptics use to choose their targets? This is an actual decision I have to make dozens of times every week in order to produce my social media content. One very important criterion is this – would addressing a claim or topic provide a useful teachable moment? Since one (if not the) primary goal of skepticism is education, this is a crucial criterion, and in fact is often sufficient reason to address a topic. This is the primary reason I have ever addressed issues such as ghosts, bigfoot, astrology, or the Bermuda triangle (classic skeptical topics). I honestly don’t care at all about ghosts, and agree that this has extremely low priority as an issue. However, ghosthunters engage in a variety of pseudoscientific activities and defend their claims with numerous logical fallacies. There are many generic lessons about science and critical thinking that can be learned by examining any pseudoscience, and often the most obvious ones are the best examples. I have also found that by examining the full spectrum of pseudoscience, I have been able to see recurring patterns that enable me to understand pseudoscience much more thoroughly, and then apply those lessons to more important areas, like medicine. Related to the teachable moment criterion is public interest. The whole point is to engage the public, and one technique for doing so is to go to where they already are. The public is interested in ghosts, cryptids, and UFOs, and in fact they often learn pathological science from popular treatments of these topics. If we leave these popular subjects to the charlatans, they will happily spread scientific illiteracy unopposed. This is, however, a great opportunity to teach the public about how science actually operates, mechanisms of self-deception, how to tell if a claim is valid, and how to detect pseudoscience. 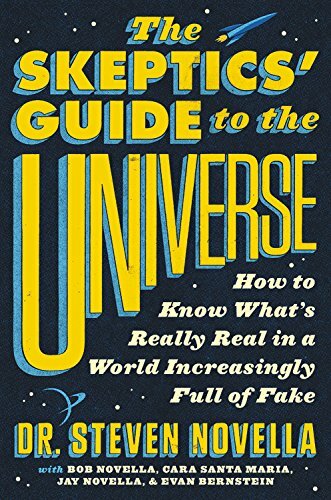 Addressing pseudoscience and the paranormal is a way to popularize science, like writing about the physics of Star Trek, or the philosophy of the Simpsons. Ghosts and UFOs are the hook, the payoff is scientific literacy and the ability to think a bit more critically. The relative impact or importance of an issue is definitely important, and nothing I write here should be interpreted as dismissing or minimizing that point. In fact, as the skeptical movement has matured over the last few decades I have noticed a definite shift to issues of greater social importance. My primary issue is alternative medicine, the abject infiltration of fraud and pseudoscience into the institutions of health care. This results in the wasting of billions of dollars, diverting of research funds, and causes direct harm to the health of individuals. Other important issues we tackle regularly are vaccine refusal, global climate change, genetically modified foods, our energy infrastructure, future technology, teaching creationism and other pseudoscience in science class, issues surrounding mental illness, the self-help industry, scams, racial or gender pseudoscience, and other issues that have a direct impact on peoples lives and our civilization. We also may consider how much of an effect we can have. Some issues are more amenable to scientific information than others. Dermatologists and plumbers also focus their professional interests in a very narrow area, but rarely (as Daniel points out) are criticized for not addressing more important issues. It is recognized that they have a particular area of expertise, and the world needs all kinds of experts. Scientific skepticism itself is an area of expertise. It involves a deep knowledge of pseudoscience, the philosophy of science, mechanisms of deception, what I call neuropsychological humility, scams, logic, and other aspects of critical thinking. This includes knowledge of the history of pseudoscience. Within skepticism individuals also tend to focus their writing and speaking on their area of scientific expertise. So skeptical doctors focus on medicine, astronomers on astronomy, biologists on issues like evolution and creation, and physicists on free energy. If we have a bias it is toward the areas of expertise that also tend to attract people to the skeptical movement itself, but this is hard to avoid. It is also not simple to correct, and straying outside of our areas of expertise is not a good solution. At the very least, it takes a lot more work to address an issue about which I am not already fairly expert. Very relevant to the question of what targets skeptics choose is who else, if anyone, is already addressing those problems. For example, reviewing evidence and establishing a standard of care for a particular issue within mainstream medicine is very important, but there are already professional societies that do that. Physician skeptics are not needed and have nothing particular to add. We tend to focus our efforts where there is the most need, meaning there is a current lack of attention. Fringe ideas tend not to get attention from scientists, who don’t want to waste their time. Whether or not this is a reasonable position is debatable, but meanwhile skeptics are happy to fill the void. Skeptics have, as I stated above, expertise in controversies, pseudoscience, deception, pathological science, and science communication. We spend some of our time communicating regular science, because we are enthusiasts and it’s part of the package and there’s a lot of bad science reporting out there, but a lot of our time examining ideas that lack mainstream attention. As a skeptical neurologist, for example, I am not going to spend my time delving into and engaging in debate over the possible mechanisms of Parkinson’s disease. There are scientists who are doing that. But I will engage with those claiming that near death experiences are evidence for an afterlife because most scientists don’t bother. This last criterion is a bit of a personal choice. Some journalists and outlets unapologetically advocate for a political ideology. Everyone knows the Huff Po is a liberal news source, for example. Some journalists, however, try to be as politically neutral as possible so that they will be viewed as a fair arbiter of factual information and analysis. Similarly, some skeptics combine their skeptical activism with ideological activism. I have no problem with this, and most are up front about it. Some skeptics, however, choose to be political or ideologically neutral in their activism, except for a defense of science and reason. I think this can be helpful. While I certainly do have political opinions, I try to keep them separate from questions of science and evidence. If, for example, I am discussing global warming, I want to focus on the science and not be dismissed as liberal. Or, if I am writing about GMOs I do not want to be dismissed as conservative or libertarian. That can still happen, sometimes simultaneously, because people make unwarranted self-serving assumptions, but it helps when it is untrue. My opinions on these and similar topics are informed by the science, not my politics. This becomes a harder sell when you are also advocating for a political position. I also think it is helpful to have a movement which is based upon evidence and logic and is agnostic toward ideological positions or values which are tangential. The fallacy of relative privation is common. You may catch yourself using it at times. Keep in mind, it is usually not a valid line of argument. Unless you are literally making a choice between competing interests with limited resources, these arguments are often a false choice. There are over 7 billion people on the planet. There is room for plumbers and electricians. We don’t have to decide which one is more important. Scientific skepticism is an area with a particular expertise that fills an otherwise neglected role. I also think we are very diverse in the topics we address. There are, however, many reasons why some topics get more attention than others. Someone’s personal judgments about which they value more is insufficient reason to ignore the many valid criteria I outlined above.